Stays hidden until needed. 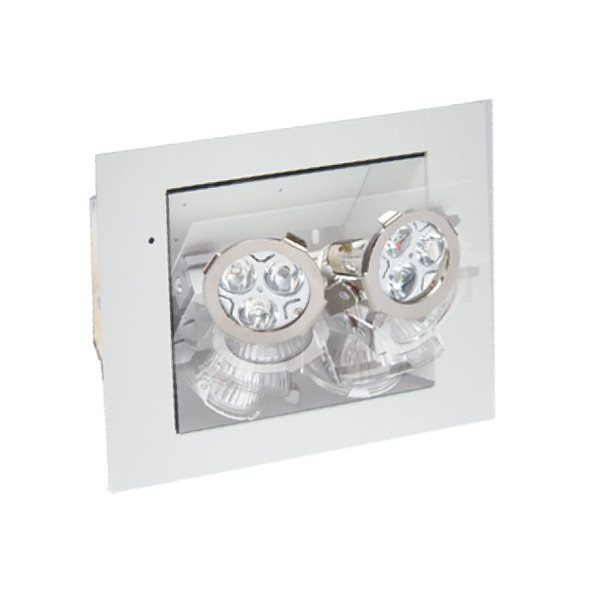 In normal conditions (stand-by) the Revelation™ series emergency light is concealed in the wall or ceiling. In case of power failure, the door of the unit rotates open 180° and exposes the emergency light. When main power returns or at the end of the discharge period, the light turns off and the door rotates closed automatically.